Chasing campaign never really worked out, so a return to hurdles was inevitable, and struck on return to timber in the International at Cheltenham. Was not seen with all the equine flu saga over the winter/ early spring, and that came back to bite him as he was pulled up in a frantic Champion Hurdle before jumping three-out. Ground to make up in this over further. Dual Champion Hurdler could not add a third crown to his name after making a rare error at the third flight at Cheltenham three weeks ago. Some questions to answer given that he was beaten at Kempton in the Christmas Hurdle by stablemate Verdana Blue, but remains a top hurdler and a serious threat to all. Won this race back in 2017, so the step-up in trip is no concern. Landed the County Hurdle for the yard's third success in the race in the last four years, and deserves his return to tackle the top level. Second at this venue in a Class Two Handicap back in December, but comes up against some of the best around and will need to bring his A game. Good old boy who is reaching the end of his career, and if it was to be his last appearance at Cheltenham - ran out a fine third to the impressive new boy on the scene; Paisley Park in the Stayers. Ran with much heart and resilience, and will no doubt be a popular winner if he can handle the drop in trip again, where the emphasis is back on speed. Well beaten by Buveur D'Air in last season's Champion Hurdle, but may have a plan with Melon to ensure Mullins comes out on top. 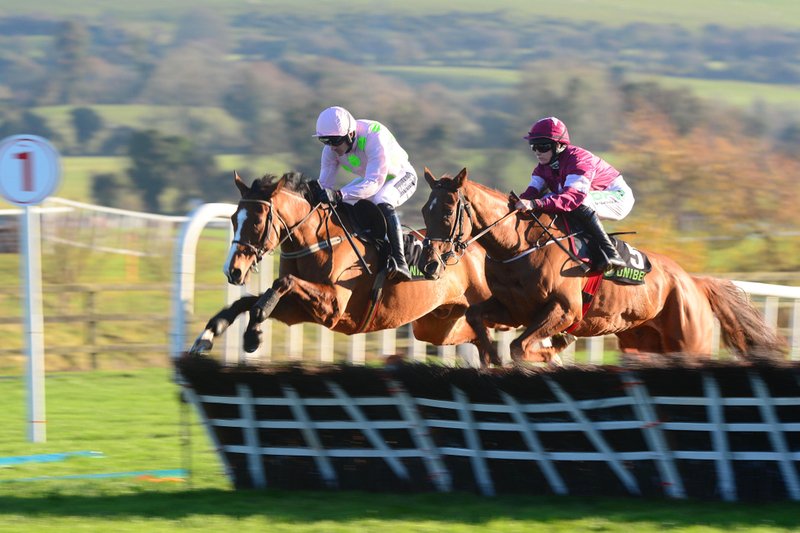 Melon continued to surprise all last month by finishing second yet again in a Champion Hurdle. Twelve months after his tussle with Buveur D'Air, only Espoir D'allen - in the same colours, could get past the lightly raced and still inexperienced Melon who seems to bring his best when it comes to Cheltenham. Aintree will be his first visit away from Prestbury Park in Britain, and perhaps he can spring up another surprise, linking in well with his teammate to outmind Buveur D'Air and the other British challengers. After a fine season this term - particularly at the Festival venue, the 6yo grey ran on well in the closing stages of the Champion Hurdle to nab third from Laurina at odds of 80/1. Sits alongside his two seconds at Prestbury Park this season - including in the Greatwood and the International. Again top opposition arriving, but can capitalise on any mistakes from his rivals. He's back. Last year's Supreme Novice hero clearly has not been in the same fettle this term, but has had some work done under the bonnet to rejig a few things. Fourth in the Fighting Fifth, seventh in the International has lost punters faith in him, but we all know he is better than that. A Grade One winner demands respect and although a win is unlikely on return, he can run a big race and is naturally very speedy. Supasundae's incredible record of firsts or seconds came to a shallow end at Cheltenham in the Stayers, when failing to reproduce last year's runner-up to Penhill by finishing down the field in seventh. Perhaps this race could bring the best out of him, as three-miles may be too far and two-mile may be too quick. Robbie Power has had a good record in these colours in the last few years, so cannot be discounted. The filly Verdana Blue completes the field, and with good ground seemingly on the way, can operate on her optimum conditions which saw her get the better of Buveur D'Air in the Christmas Hurdle. Soft ground got the better of her even before the Champion Hurdle, yet she still managed to come home fifth in an action packed race. Her all-weather form has been disappointing given her reputation, so hard really to see what part she will play here.